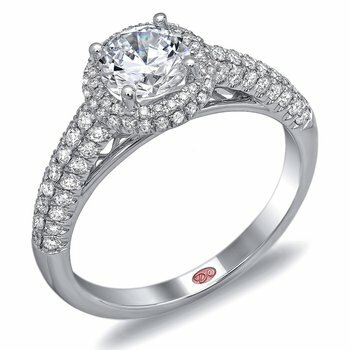 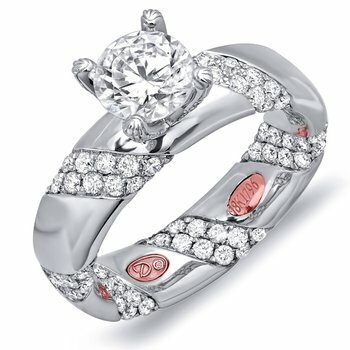 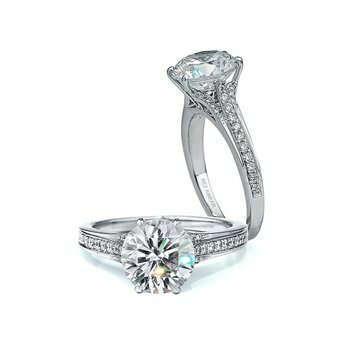 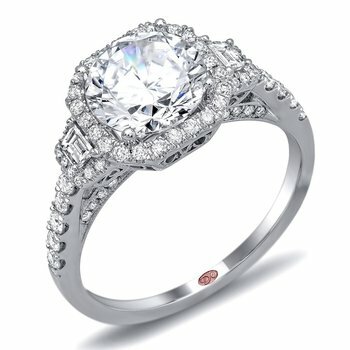 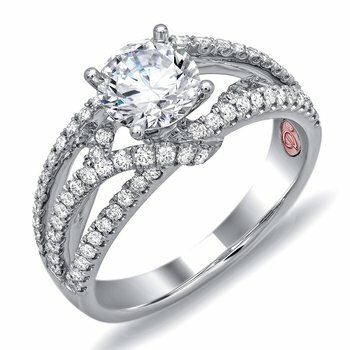 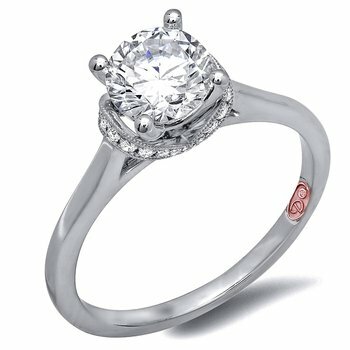 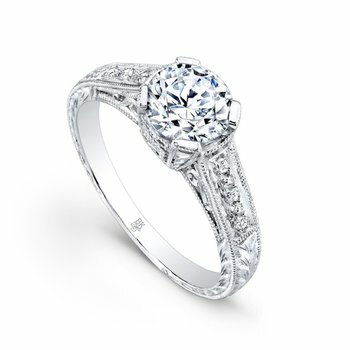 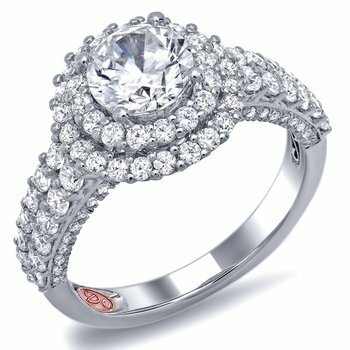 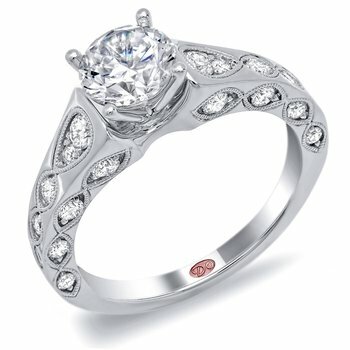 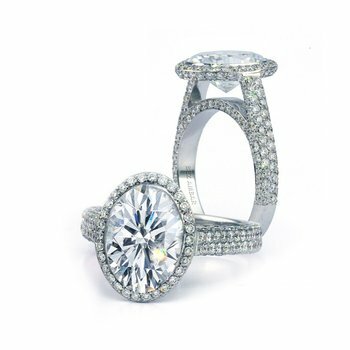 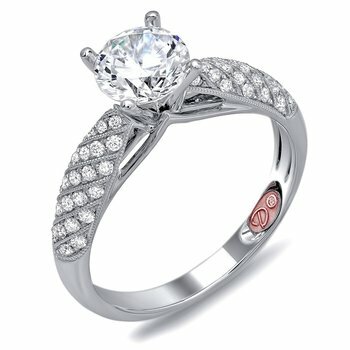 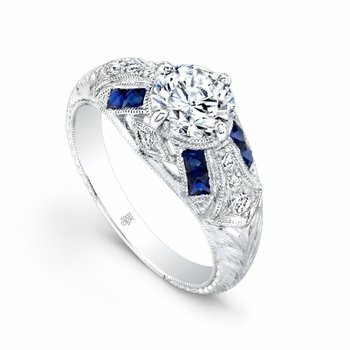 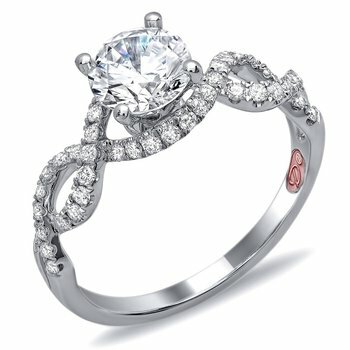 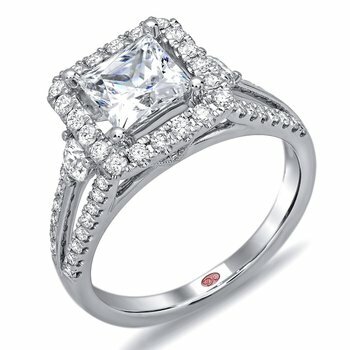 Exquisite and elegant, this extraordinary diamond engagement ring exudes romance and timeless grace. 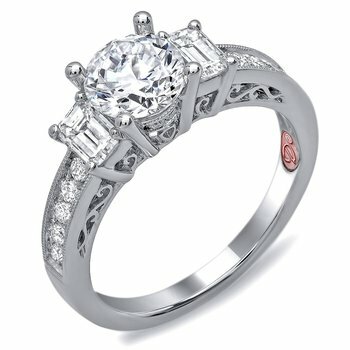 It features rosecut diamonds, milgrain detailing, and fine engraving. 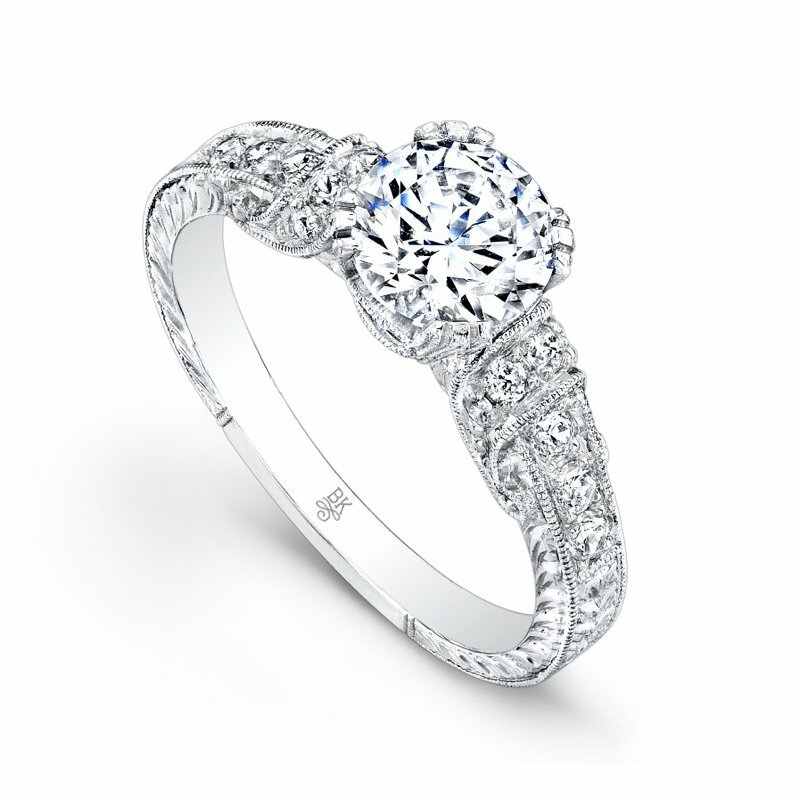 This extraordinary ring is available in 18k white, rose and yellow gold, as well as platinum.